Paris is full of parks and green gardens where it is pleasant to rest or have a picnic in the summer. Here is a list of some Parisian gardens where it is good to walk. The Champ de Mars gardens was opened in 1780 and extends between the Ecole Militaire and the Effel Tower. It is especially the place of great national manifestations. 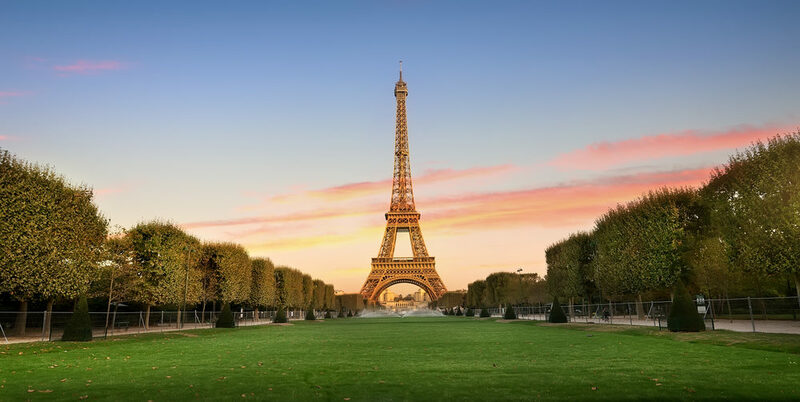 Not far from here you can also walk in the gardens of Trocadero which give a magnificent view of the Effel Tower and which have in their center the famous fountain of Warsaw and its 20 water cannons ! They were opened in 1937. Some sculptures adorn some parts of the garden. The Jardin d’Acclimatation brings together green spaces, an amusement park and activities for the whole family. It was created in 1860 in the Bois de Boulogne. Catering services are also available within the park for a break. The tuileries gardens is located between the Louvre Museum and the Place de la Concorde. It is a place for walk for Parisians and foreign visitors. There are statues of Giacometti, Rodin and Maillol. In South of the gardens, you will find the Orangery Museum. The Jardin des Plantes near the Austerlitz train station is a good place for a stroll and where you will also find the natural history museum, the large botanical greenhouses as well as the menagerie and zoo plant garden. The Jardin du Luxembourg is located near the Saint-Michel district in the 6th neigborhood. It has an area of 25 Hectares and is divided into two parts: a French garden and an English one. You will also find an apple orchard, an apiary and greenhouses. The garden also has 106 statues and the famous Medici fountain. Free exhibitions and concerts are held in the bandstand. The gardens of the Bois de Vincennes in the 12th neigborhood is one of the largest gardens in Paris. You will discover the Floral Park, a lake where you can ride a boat and many activities for the whole family. To know other places and gardens of Paris, do not hesitate to ask to your Aloha’s team.